Many teachers are reporting that they need to develop more subject-specific applications of educational technology. However, there seems to have been a lack of theoretical frameworks to guide educators in preparing and developing in-service preschool teacher education in the area of educational technology until the recent emergence of the notion of technological pedagogical content knowledge (TPACK). This study utilizes the TPACK survey to explore 366 Taiwanese in-service preschool teachers' technological pedagogical content knowledge. Exploratory factor analyses of the TPACK survey used in this study yielded six scales: Content knowledge (CK), pedagogical knowledge (PK), pedagogical content knowledge (PCK), technological knowledge (TK), a combined factor of technological pedagogical knowledge and technological content knowledge (TPTCK) and technological pedagogical content knowledge (TPCK), respectively. The exploratory factor analyses indicated adequate reliability and validity of the TPACK survey. The correlation analyses revealed that more senior preschool teachers might show a certain degree of resistance toward technology-integrated teaching environments. Further analyses also showed that the preschool teachers with higher education qualifications tended to have more knowledge of technology use and ICT integration in their teaching environment. Liang, J.C., Chai, C., Koh, J., Yang, C.J. & Tsai, C.C. (2013). Surveying in-service preschool teachers' technological pedagogical content knowledge. Australasian Journal of Educational Technology, 29 (4),. Australasian Society for Computers in Learning in Tertiary Education. Retrieved April 25, 2019 from https://www.learntechlib.org/p/148117/. Haugland, S.W. (1992). Effects of computer software on early childhood children's developmental gains. 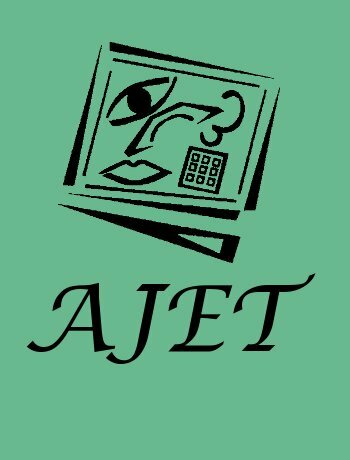 Journal of Computing in Childhood Education, 3(1), 15-30. Lim, C.P., & Chai, C.S. (2008). Teachers' pedagogical beliefs and their planning and conduct of computer-mediated classroom lessons. British Journal of Educational Technology, 39(5), 807-828. O'Mara, J., & Laidlaw, L. (2011). Living in the iworld: two literacy researchers reflect on the changing texts and literacy practices of childhood. English Teaching-Practice and Critique, 10(4), 149-159. Thole, W. (2010). The pedagogical staff in day care – professionalism and professionalization in a pedagogical field of work. Zeitschrift fur Padagogik, 56(2), 206-222.